Further Comments: This building held Anne during her last days, and while the house no longer stands, its basement remains, and it is here the ghost still resides. Further Comments: Henry VIII, Queen Elizabeth, Charles I & George III have all reportedly been seen here after their natural lives ended. 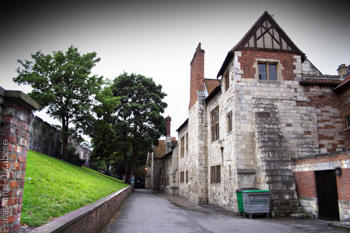 Elizabeth frequents the library, Charles the Canon's House (traditionally walking on the night of 26 June), while George haunts the rooms in which he was bound after being declared mad. 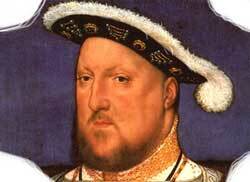 Henry VIII can only be heard, moving slowly down the corridors, dragging his bad leg. The great park attached to the castle is home to Herne the Hunter, who together with his devil dogs, stalk the woodlands. Finally (for the time being), the park is also haunted by the ghost of a Grenadier Guard who killed himself while on duty. Further Comments: This young girl with raven hair is reported to lead anyone who follows her to a mass grave of soldiers killed in the Civil War. Further Comments: Thomas Percy, the Seventh Earl of Northumberland, has been seen decapitated in the churchyard, searching for his severed head. He lost it after upsetting Elizabeth I by attempting to raise an army fight her, and she vented her anger thus. A ghostly nun has also been reported on the site. Further Comments: The female ghost which haunts the Principal's House is said to be either Anne Boleyn or Catherine Howard, dressed in a green dress and carrying roses. 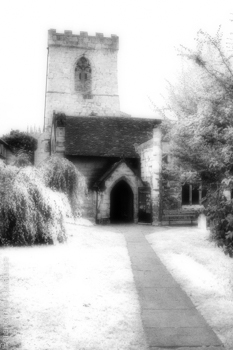 The ghost of a monk frequents the King's Manor. The sounds of wounded men can sometimes be heard here - the building was used as a makeshift hospital during the Civil War.